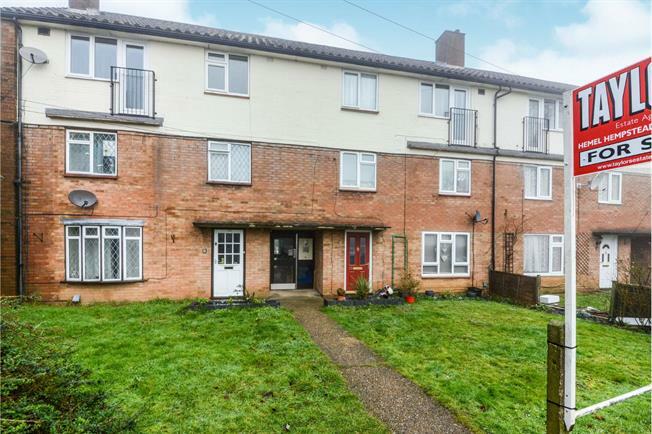 1 Bedroom Flat For Sale in Hemel Hempstead for Offers in the region of £170,000. Presented to the market in ready to move in condition is this good size one bedroom second floor flat. Found in the Highfield area of Hemel Hempstead which has all your amenities nearby and a Tesco Express across the road. Comprising of entrance hall, spacious lounge with Juliet balcony, separate kitchen, master bedroom and a good size bathroom. Further features also include a private rear garden. The property also boasts a lengthy lease at approximately 90 years remaining.